I’m feeling overwhelmed at the very thought of my kids returning to school exactly one week from today. What with new teachers, never-ending classroom supply lists, and new curricula, going back to school is every bit as hard on parents as it is on kids. You already know there’s a lot to consider when it comes to keeping our kids in tip-top shape for learning, but what you may not know is that there are government resources designed to help. 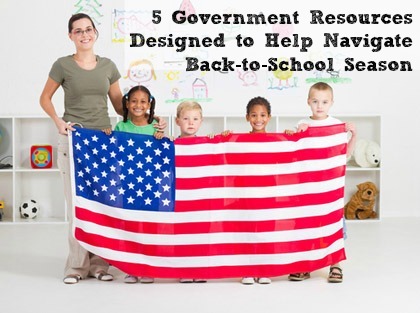 Take a look at 5 government resources designed to help parents and children succeed this upcoming school year.